Discover some of Americas most thrilling and energetic cities, relax by the incredible coast line and outstanding beaches or explore the multiplicity of its acres of verdant forests and mountains. Visitors to the Eastern States can discover some of Americas most exciting and vibrant cities New York, Chicago and Philadelphia are ideal havens for shopping lovers and sightseers, while Washington DC, the nation’s sophisticated capital, provides plenty culture and Boston wins visitors affection with its chic but relaxed and friendly waterfront location. New York is one of the most exciting and cosmopolitan cities in the world with over 150 museums, 400 art galleries and nearly 20,000 restaurants and too many hotels to mention! Not to mention the shopping, the music and the fabulous theatres. Midtown Manhattan is home to Broadway, Times Square, Central Park and the famous Empire States building and Radio Music City Hall. On Fifth Avenue the designer boutiques line up alongside the major department’s stores creating a shoppers paradise. Lower Manhattan and Wall Street a good 20 minutes south of central Manhattan is possibly New York’s most famous address, the historic Battery Park is the point to board an excursion boat to Ellis Island and the Statue of liberty. 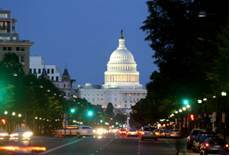 Washington DC is one of the most famous cities in the world. Quaint neighbourhoods and grand avenues rub shoulders with impressive architecture and imposing monuments, The Smithsonian Institute being the largest cluster in the world. With so many landmarks a sightseeing tour of Washington has to be on the agenda, tour the white house, wonder at the Washington monument, stroll along the Potomac River or join the locals for a sunset picnic on the Jefferson Memorial. Philadelphia remains a fabulous well-kept secret. 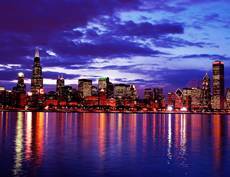 This scintillating city is the 5th largest city in the nation and one of the oldest in the USA. The heart of Philadelphia is home to some famous landmarks including the impressive City Hall, Reading Terminal Gate and the colourful Friendship gate marks the entrance to Chinatown. 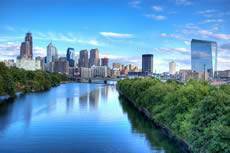 Philadelphia makes a great short break destination with plenty to offer including a must visit to the historic waterfront district with its charming courtyards and brick-paved pathways encompassing the stylish Society Hill area. New England brings together the offerings of superb beaches, majestic mountains, crystalline lakes and acres of lush forests that erupt into an explosion of color every autumn. The name New England is a little misleading as this region typifies Old America. Comprising of six states of Massachusetts, Maine, New Hampshire, Vermont, Connecticut and Rhode Island the region comprises of splendid towns and quaint villages, fabulous food and excellent recreational facilities. The draw of the changing colours and small bed and breakfast style accommodation in small village’s starts mid-September and run through to mid-November but this 8 week window is very popular so planning to visit New England during the fall requires serious forward planning. By comparison just south of Boston, Cape Cod, that swings out into the Atlantic curving around like an arm back around to Boston draws visitors through-out the summer months from Easter to Late August to relax on the sandy beaches, enjoy the Cape cod sheltered Bay, explore the wooden clad villages along this pretty peninsular and board a boat to the exclusive holiday islands of Martha’s Vineyard and Nantucket. North Carolina & South Carolina offer everything you could possibly wish for a holiday. The coastal area is a paradise of sun, sea and sand with some of the best beaches in the USA. 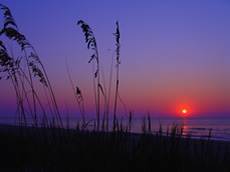 Hilton Head island conjures up memories of the plantation era and offers fabulous opportunities for beach activities and water sports. Kaiwah Island, just south of Charleston which is steeped in colonial history is the ideal location for sports enthusiasts with four championship golf courses and two top class tennis centres. There are endless opportunities for adventure and leisure. We suggest taking a leisurely multi centre holiday, drive the breath-taking Blue Ridge Parkways and take to the trails of the stunning Great Smokey Mountains or visit the Outer Banks on the coast where the Wright Brothers made the world’s first powered flight.